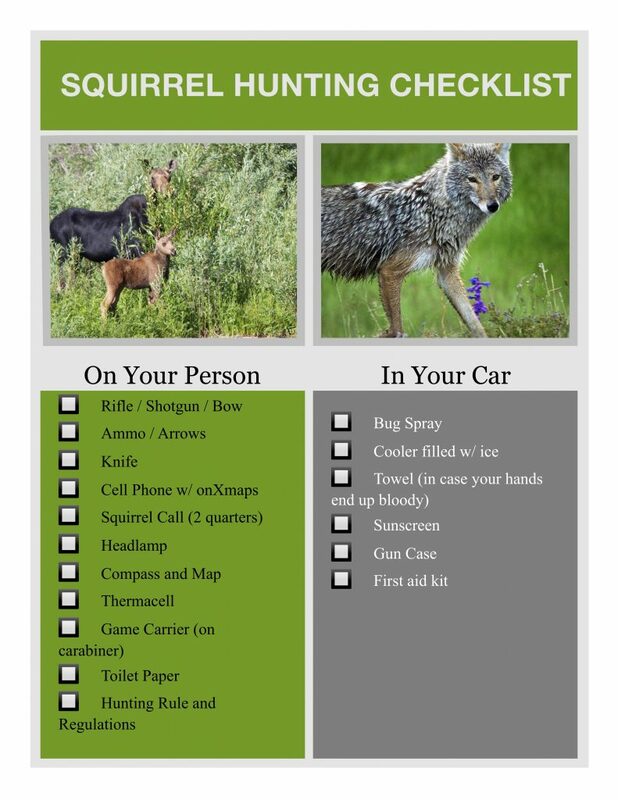 In preparation for my recent squirrel hunt (outing report coming soon), I decided to make a quick squirrel hunting checklist to make sure I didn’t forget anything. I probably have a few extra items on the list that are not necessary, but it is what I am using for now. I’ll be updating it as I get more experience. If you have any suggestions on changes to make to the checklist, please leave me a comment.